In my book: “Thyroid and Graves’ disease unmasked” I have talked in great detail of many helpful supplements for Graves’ disease. One of them is flax seed oil. I had found flax seed oil to be very helpful for me during my thyroid travels. It was an amazing supplement for me when I was thyrotoxic on levothyroxine hormonal replacement only. It was also very helpful for PMT relief and generally great for my well being. Years back, before I added NDT to my levothyroxine hormonal therapy, I had too much T4 and not enough T3 and suffered through a madness of negative symptoms. The only thing that helped me relieve those symptoms was flax seed oil. I was so desperate sometimes, I was taking it by table spoon even in the middle of the night. It had never failed to calm my nervous system. It helped with my heart palpitations, anxiety, working in about half an hour after taking it. Flax seed oil may be very beneficial for those with Graves’ disease (about a teaspoon daily, depending on your tolerance). A scientific literature (1) reports a case of remission from Graves’ disease using omega3 fatty acids in flax seed oil. Flax seed oil is not a treatment for Graves’ disease but as supplement it may assist with remission. It still helps me, even after my thyroid surgery. I use it only when I feel tense and nervous (great for PMT). It is like a soothing balm for my nerves and it makes sleeping easier. Let’s then talk about flax seed oil. I believe it is a super star of oils. Flax seed oil contains both omega-3 and omega-6 fatty acids and has a good omega- 6 to omega- 3 ratio as well as vitamin E. It is the richest source of omega 3 fatty acid ALA (alpha-linoleic acid), which our body can then convert into molecules DHA and EPA as required. ALA fatty acid by itself is very protective for our health. DHA and EPA are the major anti-inflammatory oils being the essential building blocks for prostaglandins (immuno-regulatory molecules). The lack of prostaglandin E3, for example, has also been implicated in migraine headaches and high blood pressure. EPA oils are capable of turning off body’s pro-inflammatory cytokines. Components of flax seed oil were found to reduce inflammation which may be very helpful for autoimmunity problems. 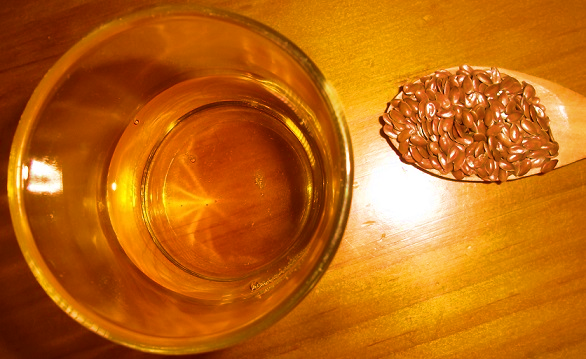 Flax seed oil helps with detoxification processes in liver and helps to balance sugar. It has a calming effect on the heart and nervous system as the heart muscle likes to use fatty acids for energy production. Flax seeds are also packed with minerals such as manganese, magnesium and phosphorus. Flax seed oil (in excessive amounts) can inhibit T3 nuclear binding which benefits those with Graves’ disease. Flax seed oil can also mildly suppress thyroid function. It may help to release endorphins in the body. It is also great for PMT. Flax seed oil is a phytoestrogen which mean it can help with estrogen dominance and PMT, replacing strong estrogen in the body for mild phytoestrogens. It is believed to be anti-cancer food. Flax seed oil is a fragile oil as it get oxidized easily so it needs to be fresh and kept in the fridge. It is not suitable for cooking. It needs to be cold pressed and is usually sold in dark containers from fridges. It can be purchased from pharmacies and health shops. Flax seed oil helps with lubricating the intestine wall and absorbing toxins for elimination from the body and in some people it may have a slightly laxative effect. It is best to take flax seed oil with food (it can be added to salads). Consult your doctor before using flax seed oil, especially if you have a history of chronic diarrhea, irritable bowel syndrome, inflammatory bowel disease, diverticulitis, oesophageal and gastrointestinal stricture, bowel obstruction, bleeding disorder or take medications that increase the risk of bleeding, in conditions of breast cancer, uterine cancer and endometriosis. Speak to your doctor about flax seed if you are pregnant or breastfeeding. Avoid if allergic to flax seed or other plants of the Linaceae family. 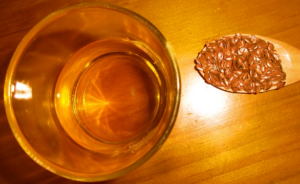 Flax seed oil is a blood thinner and should not be used before a surgery. Sarah J Breese McCoy. Coincidence of remission of postpartum Graves’ disease and use of omega-3 fatty acid Thyroid. 2011. URL: https://thyroidresearchjournal.biomedcentral.com/articles/10.1186/1756-6614-4-16. Kaithwas G, Mukherjee A, Chaurasia AK, Majumdar DK. Anti-inflammatory, analgesic and antipyretic activities of Linum usitatissimum L. (flaxseed/linseed) fixed oil. Indian J Exp Biol. 2011 Dec; 49(12):932-8. Wiersinga WM, Chopra IJ, Teco GN. Inhibition of nuclear T3 binding by fatty acids. Metabolism. 1988 Oct; 37(10):996-1002. Wiersinga WM, Platvoet-ter Schiphorst. Inhibition of nuclear T3 binding by fatty acids: dependence on chain length, unsaturated bonds, cis-trans configuration and esterification. M.Int J Biochem. 1990; 22(3):269-73. Coenzyme Q10 (CoQ10) is a fat soluble molecule which is made by our body (primary in the liver) and is essential for energy production. I had talked previously about another important molecule, L-carnitine which is also needed to make energy in cells. Coenzyme Q10 is just as important. It is especially concentrated in the heart and brain. CoQ10 has two forms: oxidized Coenzyme Q10 (ubiquinone) and reduced form (ubiquinol). Ubiquinone is converted into ubiquinol in the body so that it can utilised. Ubiquinol is a powerful antioxidant. It protects cell membranes, proteins, DNA and mitochondria from free radicals. CoQ10 works well with vitamin E and C.
A blood test can determine total CoQ10 levels. Thyroid hormone ignite the energy production process in mitochondria in every cell of our body. 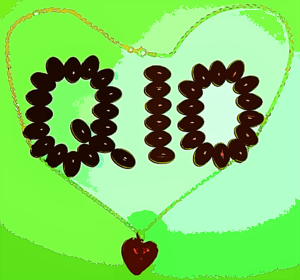 Coenzyme Q10 is needed in the chain of that process in order to generate ATP, energy and life giving molecule. Thyroid cells, just like every single cell in the body, need Coenzyme Q10 to function. On top of that, excessive thyroid hormones may deplete other necessary mitochondrial nutrients faster such as vitamins B, L-carnitine, potassium, selenium and magnesium. The imbalance of thyroid hormones, essential nutrients and antioxidants, such as CoQ10 may lead to mitochondrial dysfunction which can be connected to autoimmunity. Study (4) had shown that Coenzyme Q10 deficiency is associated with selenium deficiency. Deficiency of CoQ10 may lead to muscle and joint pain as well as muscle damage and mental and physical fatigue. Mood swings, inability to handle stress and memory lapses can be a sign of a low CoQ10. Coenzyme Q10 levels decline with age and lowered levels are connected with certain other health conditions (such as diabetes, heart disease, depression, migraines). Other condition in which Co Q10 can be reduced are: underactivity of the adrenal glands (hypoadrenalism) and underactivity of the testes and ovaries (hypogonadism). Smoking and obesity also depletes Q10. Cholesterol lowering medications (statins) may result in decreased levels of CoQ10 and other oil-soluble nutrients in the body (6). These medications interfere with an enzyme which produces both cholesterol and Coenzyme Q10. You might consider supplementing with Q10 if you are taking cholesterol lowering medications. Many medications used to treat blood pressure, such as propranolol were shown to lower CoQ10 levels (1). Also, people with essential hypertension (even those not treated with hypertensive medications) were shown to be deficient in CoQ10 (1). This study by Kishi H, Kishi T and Folkers K concludes that:” A pre-existing deficiency of coenzyme Q10 in the myocardium of hypertensive patients could be augmented by subsequent treatment with propranolol, possibly to the “life-threatening” state described by others.” This means that if you have Graves’ disease and take propranolol to lower your blood pressure, your CoQ10 levels need to adequate. Blood pressure medications such as propranolol are commonly prescribed for patients diagnosed with Graves’ disease. Let’s look at the opposite condition of thyroid dysfunction- hypothyroidism. Low levels of energy may be due to low thyroid hormone levels and/or low levels of certain minerals, vitamins and other nutrients. Studies show that CoQ10 levels seem to have an inverse relationship with free T3 hormone which means people with hypothyroidism are less likely to have low coenzyme Q10 levels than people with hyperthyroidism. Scientific studies showed that the CoQ10 levels did not show any significant difference in hypothyroid people vs normal healthy patients (2). People suffering from Fibromyalgia have high levels of inflammation (sore and painful muscles as often seen in hypothyroidism) may possibly have lowered Coenzyme Q10 levels. Blood test would be useful to determine individual CoQ10 levels, especially for someone with an autoimmune disorder. If you are diagnosed with CoQ10 deficiency and are taking thyroid hormones such as Synthroid, CoQ10 should be taking 2hour apart from the thyroid hormone. Coenzyme Q10 is made in the body from tyrosine amino acids which our body can manufacture. Tyrosine is also a building block of thyroid hormones. It also requires C vitamin, some B vitamins and trace minerals to be made in the body. According to Dr Sarah Myhill (11) the synthesis of this molecule can be inhibited by chronic illness and toxins. CoQ10 can also be supplied in food. It is present among others in beef, organs such as heart and liver, fish (herring and rainbow trout), olive, canola and grape seed oils, parsley, avocado, broccoli, cauliflower, orange, strawberries, roasted peanuts, sesame seeds, pistachio nuts and eggs. Supplements may help with allergies, migraines, strengthening of the heart muscle and with TED. CoQ10 supplements are widely available without a prescription. They are considered safe at the recommended doses and without major adverse effects. Usual dose is 30mg/day. There are two types of CoQ10 used in supplements: ubiquinone and ubiquinol. The most common is ubiquinone, in powder form or dispersed in oil. Oil form increases its bioavailability. The natural source of ubiquinone (made from fermentation process) might be a preferred choice. Ubiquinol form of Coenzyme Q10 is believed to be better for older people as it is better absorbed and the ability to convert ubiquinone to ubiquinol decreases with age. It was shown in a study to raise CoQ10 levels faster (9). Co-supplementation with vitamin E might be beneficial. People who are deficient in CoQ10 might need to check their selenium levels as these two deficiencies commonly co-exist. Adequate magnesium levels are also important for heart health. Coenzyme Q10 is a blood thinner so care needs to be taken in individuals with certain medical conditions (such as diabetes as it lowers blood sugar)and those taking warfarin, aspirin or other blood thinners. It is best to stop taking Coenzyme Q10 before surgery. It should be avoided if pregnant or breastfeeding (as controlled studies are not available). Therefore, it is advisable to consult your doctor before supplementing with Coenzyme Q10. Kishi H, Kishi T, Folkers K. Bioenergetics in clinical medicine. III. Inhibition of coenzyme Q10-enzymes by clinically used anti-hypertensive drugs. Res Commun Chem Pathol Pharmacol. 1975 Nov; 12(3):533-40. Ogura F, Morii H, Ohno M, Ueno T, Kitabatake S, Hamada N, Ito K. Serum coenzyme Q10 levels in thyroid disorders. Horm Metab Res. 1980 Oct; 12(10):537-40. Vadhanavikit, H.E. Ganther. Selenium deficiency and decreased coenzyme Q levels. Mol. Aspects Med., 15 (Suppl.) 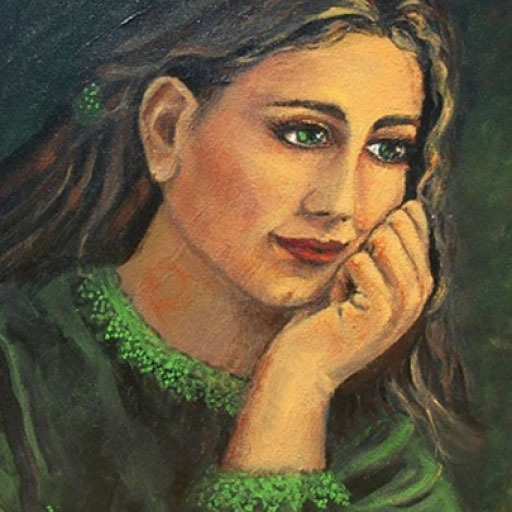 (1994), pp. s103-s107. Suzuki H, Naitoh T, Kuniyoshi S, Banba N, Kuroda H, Suzuki Y, Hiraiwa M, Yamazaki N, Ishikawa M, Hashigami Y, et al. Cardiac performance and coenzyme Q10 in thyroid disorders. Endocrinol Jpn. 1984 Dec; 31(6):755-61. Littarru GP, Langsjoen P. Coenzyme Q10 and statins: biochemical and clinical implications. Mitochondrion. 2007 Jun; 7 Suppl: S168-74. Epub 2007 Mar 27. Mancini, A.; de Marinis, L.; Calabrò, F.; Sciuto, R.; Oradei, A.; Lippa, S.; Sandric, S. Littarru, G.P. ; Barbarino, A. Evaluation of metabolic status in amiodarone-induced thyroid disorders: Plasma coenzyme Q10 determination. J. Endocrinol. Invest. 1989, 12, 511–516. Alehagen U, Johansson P, Bjornstedt M, et al. Cardiovascular mortality and N-terminal-proBNP reduced after combined selenium and coenzyme Q10 supplementation: a 5-year prospective randomized double-blind placebo-controlled trial among elderly Swedish citizens. Int J Cardiol. 2013; 167(5):1860-6. Langsjoen PH, Langsjoen AM. Comparison study of plasma coenzyme Q10 levels in healthy subjects supplemented with ubiquinol versus ubiquinone. Clin Pharmacol Drug Dev. 2014; 3(1):13-7. Cordero MD, Cotan D, del-Pozo-Martin Y, et al. Oral coenzyme Q10 supplementation improves clinical symptoms and recovers pathologic alterations in blood mononuclear cells in a fibromyalgia patient. Nutrition. 2012; 28(11-12):1200-3.